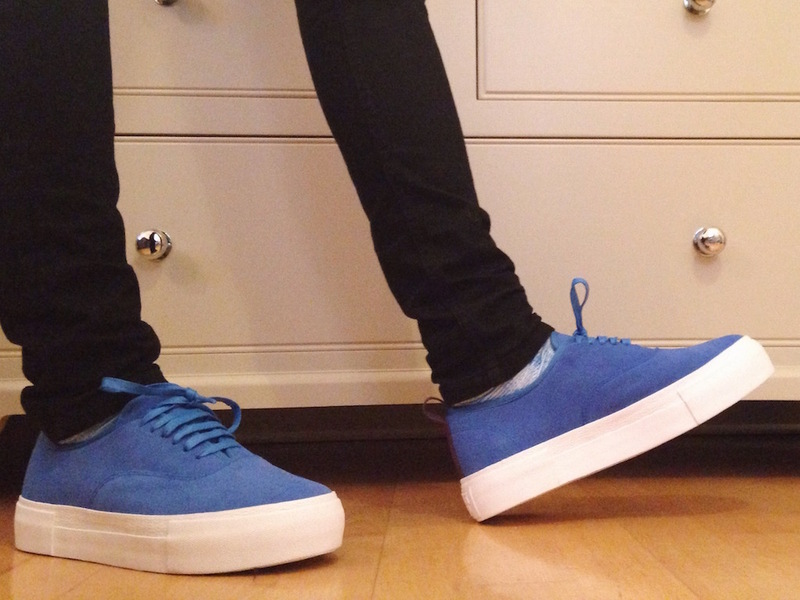 These are the EYTYS Mother sneaker in blue suede. 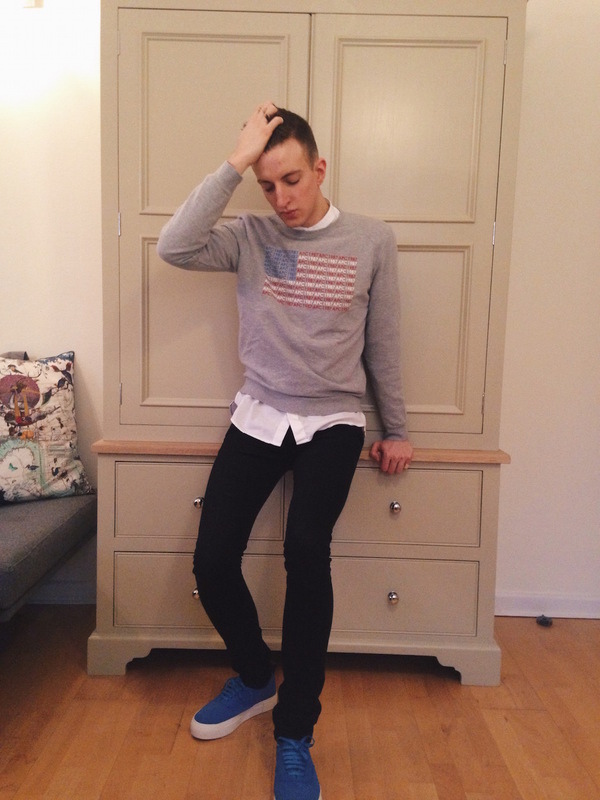 They slightly resemble Spice Girls platform shoes, and they are the most beautiful shade of sky blue. I’m wearing them with a J. 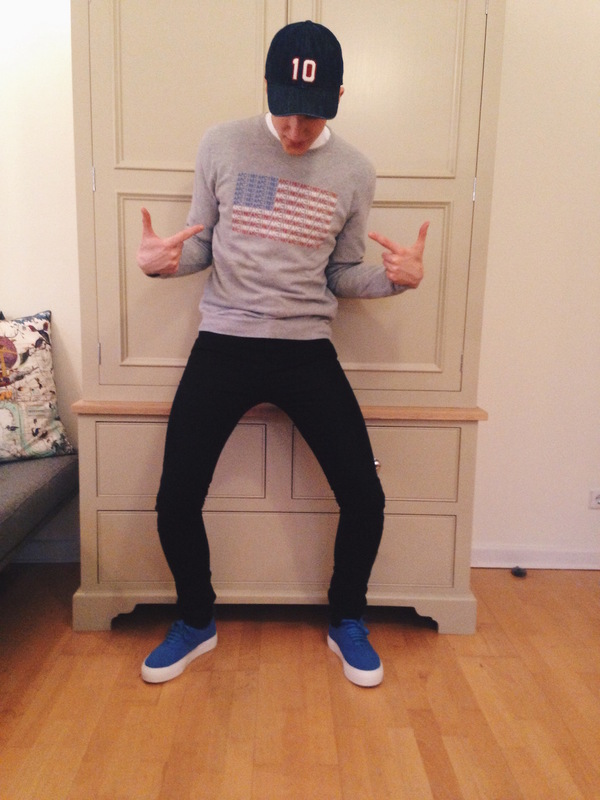 Crew cap, A.P.C sweater, Topman jeans and socks by Walk on…. 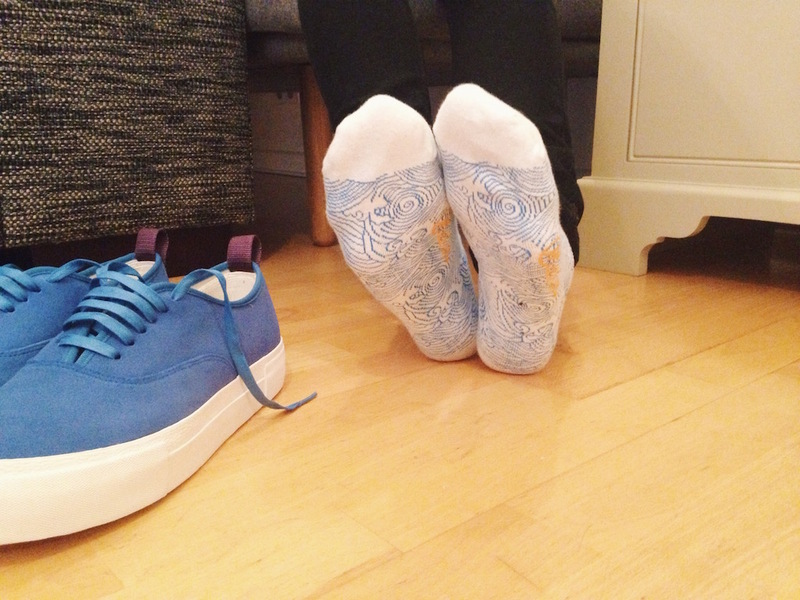 The socks are very cute, and actually say “walk on water” on the sole.